So maybe you're a beginner just showing interest in learning how to play the drums. Maybe you stopped playing drums 20 years ago and its time to get back into it. In any event, you're probably looking for something that is great quality but not crazy expensive. 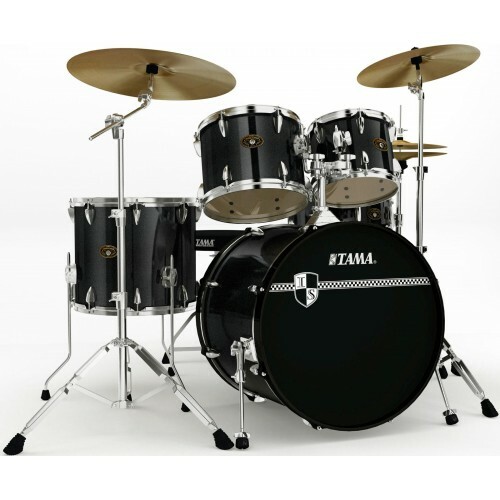 Well, enter the Tama Imperialstar! This full 5 piece kit comes with everything! You get the drums, the seat, the pedals and the cymbals all at an affordable price! What makes the Imperialstar stand out? The Imperialstar features 100% poplar shells built to sound good for years, Tama hardware, and Meinl Cymbals. With 6 different colors to choose from, there's something for everybody! With over 40 years of experience, TAMA knows what drummers really want. Which is why TAMA has the set you need, want, and can afford no matter how long you've been playing drums or what budget you have to work with. 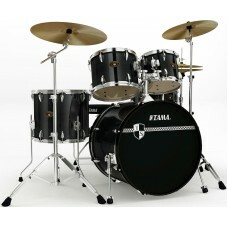 Now TAMA has launched the most affordable kit to ever incorporate so many high-end features - Imperialstar. Every aspect of the modern drum kit was exhaustively examined, reexamined, and then improved before it was accepted as part of the Imperialstar design. That is why, if you start playing Imperialstar drums now as a beginner, you'll still be enjoying them when you've achieved pro status. That's how good these groundbreaking new drums are.